There are 981 items available. Please enter a number less than or equal to 981. Always arrives early, great seller and great products, thanks! On time shipping! Great seller! I noticed my acne/pimples reappear when I don't use this cream. This product helps keep my oily/acne-prone skin well-balanced and moisturized AND keep my acne at bay. I would not recommend this product as an “end” to clearing acne, but it does keep acne away. it looks like very small portion, but you need only a little amount, it makes wonder with teenage skin! It took away my growing pimple overnight. It’s feels so good on the skin and smells so good. Would definitely recommend!! 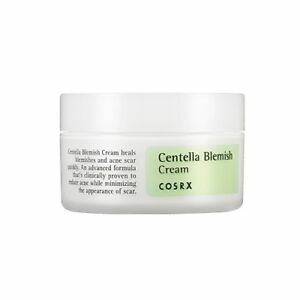 Great cream. Work for me from first use.ive oily skin,small canes and dots.ive seen the difference after first apply. Thanks .